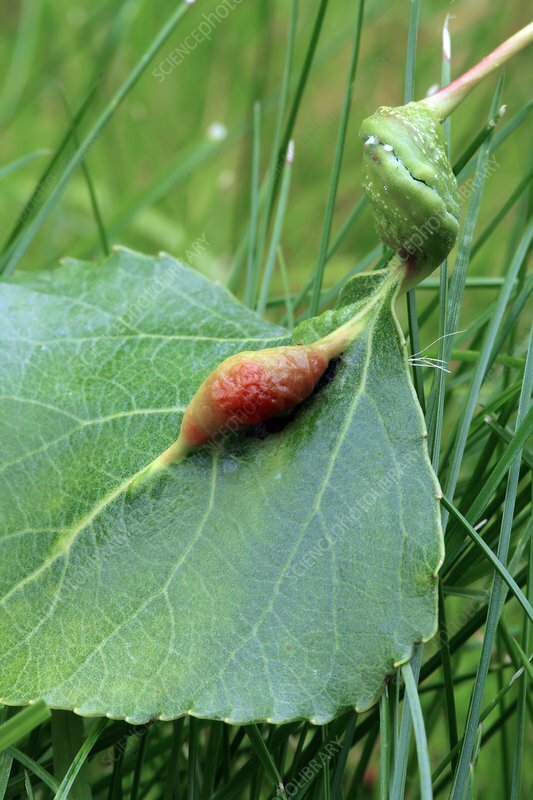 Apid galls on a Lombardy poplar (Populus nigra Italica) leaf. The two galls are caused by two different species of aphid. The gall on the leaf stalk is caused by Pemphigus spyrothecae and the gall on the leaf is caused by Pemphigus populinigrae.